Open plan kitchens continue to dominate kitchen designs where there’s space, with the majority of refurbishments and new builds opting for a kitchen that combines dining and living areas. That’s the view of independent kitchen designers and retailers Kitchens International (KI). With many designers spread across their six showrooms, KI’s designers have a finger on the pulse of kitchen design. For 2019 they predict that islands will not wane in their popularity with 70-80% of all kitchens containing one. 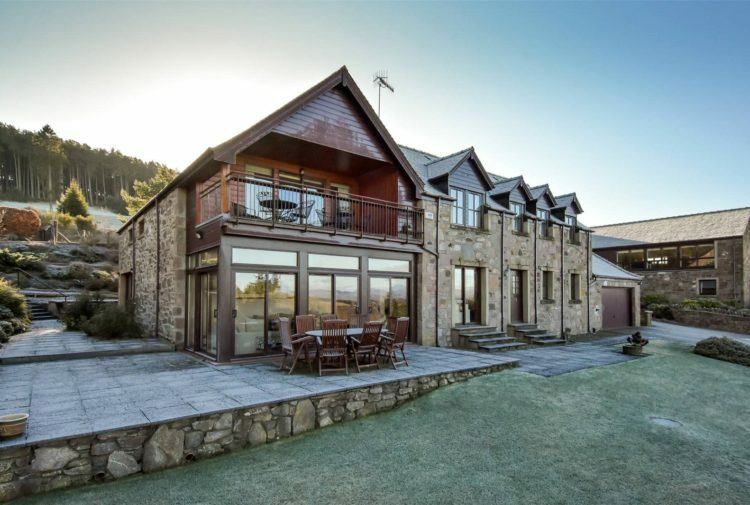 Most people prefer to face into the room while cooking and preparing food, so the island is the perfect place for the hob, food prep areas and plating up, with many also combining breakfast bar or dining table which doubles up for a social get together, eating and as a home office space. Where space is limited integrated seating offers the perfect option for dining and is increasingly on trend with many options available. 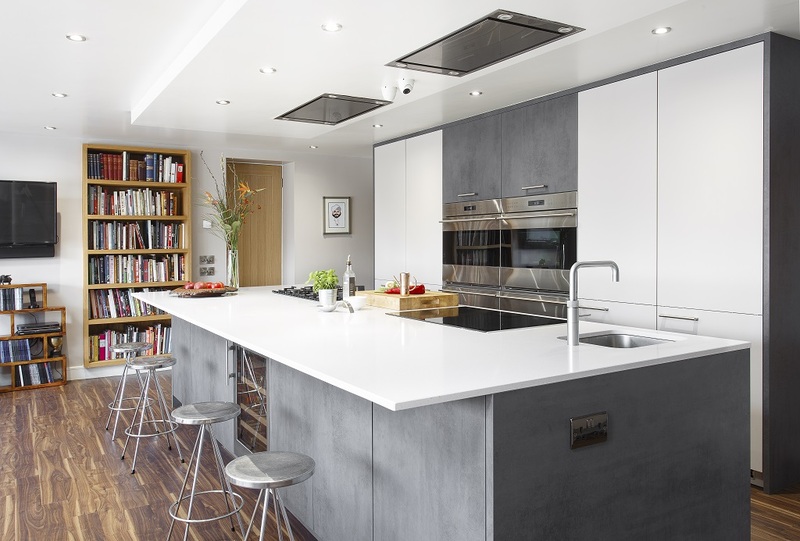 The contemporary look for kitchens has taken on a more industrial feel to it with concrete-effect or rusty finishes becoming more and more popular. The trend for a clean, minimalist look still abounds with concealed, easy access storage, such as long pull out drawers instead of cupboards, concealed walk-in larders and pocket doors to hide small appliances. One of the key elements of the kitchen is the lighting as this provides character to the design. Layered lighting is the way forward with different types of lighting for each zone or area of the kitchen. 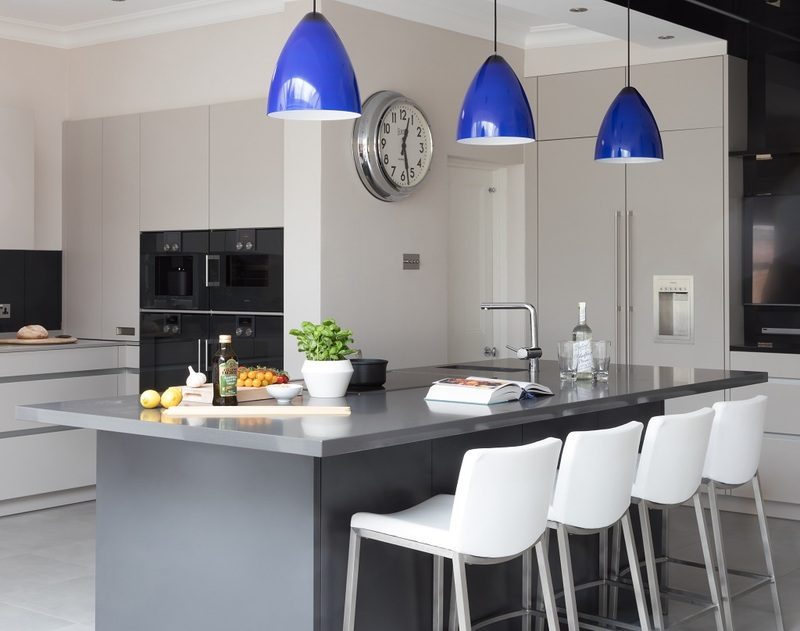 The dining/breakfast bar and island can have quirky statement pendant lighting, while feature areas are best with LED strip lighting under the worktop or in the handleless rail. The biggest development in kitchen design for 2019 will be the technology and wifi control of appliances. The KI designers are increasingly incorporating Alexa voice commands for lighting and appliances and/or the new Siemens Home Connect remote operation of appliances, allowing clients to switch on appliances far from their home. Downdraft extractors are another popular development as a concealed form of taking away odours. Engineered stone is the top choice for worktops with Silestone, for its huge range of colours, Dekton for its robustness or Corian for its flexibility being the three best and most popular materials. 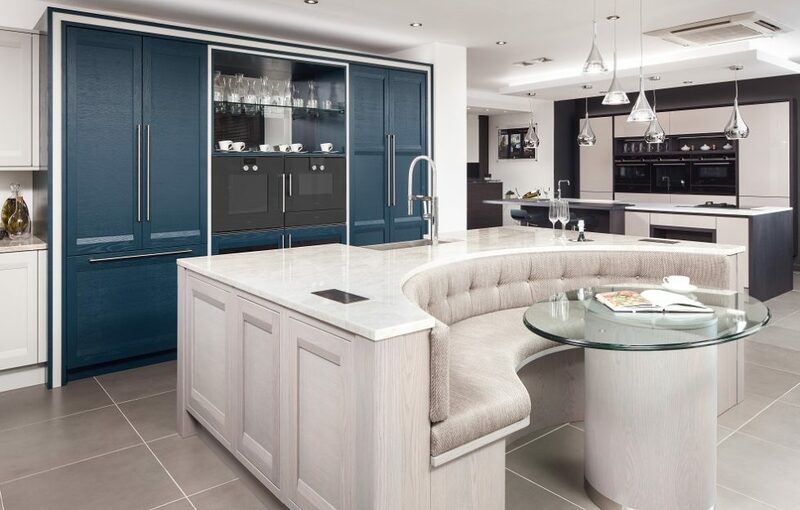 Kitchens International’s designers between them have a huge wealth of experience and talent and can offer a great range of designs to suit any size or shape of kitchen that will transform the home. 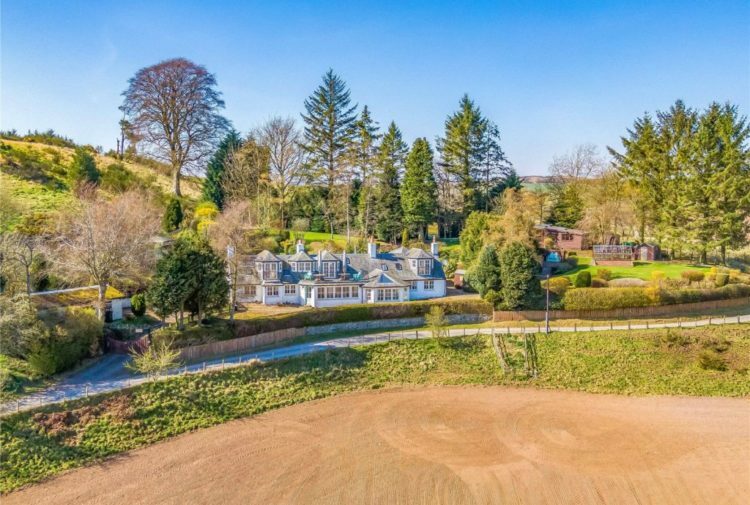 East Mains Industrial Estate, 11 Youngs Road, Broxburn, EH52 5LY, tel: 0845 0740022; Denmore Road, Bridge of Don, Aberdeen, AB23, tel: 01224 824300; 220 Gt Western Road, Glasgow, G4 9EJ, tel: 0141 404 7744; Glenvarigill Plaza Fort Kinnaird, 4 Whitehill Road, Edinburgh EH15 3HR, tel: 0131 337 3434; 117 Dundas Street, Edinburgh, EH3, tel: 0131 523 0477; Sterling showroom, 76 Moss Rd, Tillicoultry, FK13 6NS, tel: 01259 237010. Click HERE to visit the Kitchens International website.